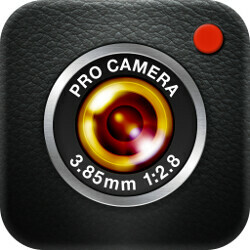 Camera apps: do you use your stock one or do you download a 3rd party one? Nowadays, most mid- to top-tier phones have pretty elaborate camera apps. They can feature filters, manual settings, and various shooting modes among any unique goodies the manufacturers may have thought of. And that's definitely a welcome thing — smartphone cameras have been getting better and better and some manual tweaks can go a long way to get that perfect scene. But there's also a plethora of 3rd party apps out there, many of which bring their own stuff to the table. Be it a super-handy interface or focus peaking, or even a 24 FPS mode for more cinematic-looking videos. Elaborate manual modes were pioneered by the 3rd party camera app market and it seems it is still well ahead of the stock camera apps that our phones carry out of the box. So, do you find yourself still going for a 3rd party app from the store with your brand-new phone, or do you usually have your needs covered by the stock app? Do you use 3rd party camera apps? It really depends on the age. If you're into pre-teens, pretty much any camera app with extensive line of filters, grids, stickers etc is what you're about. Teens however uses some kind of apps like Snapchat. Adults care less so stock. Posr editing will be on other apps. Yes samsung stock camera app is the best. Only thing I would add is a transparent settings menu to see my changes in real time. I like how I can download modes, filters, right from the screen. I use both, depending on what I'm trying to capture with the camera. For quick shots I will just use the stock app but for more pro-sumer side of things I go for the 3rd party apps that allow for a ton of adjustments and, in Motorola's case, RAW support as the stock app doesn't have RAW support. Many stock camera apps have access to proprietary algorithms and certain hardware features that 3rd party apps do not. If you use a budget phone, then a 3rd party app may very well be your best option. If you use upper mid-range or flagship phones, steer clear of 3rd party camera solutions...the picture and camera quality will most usually be worse. Yeah! On my Samsung S3 only the stock camera app was able to synchronize the shutter with the flash. All the 3rd party camera apps I tried were useless indoors because the flash would fire a couple seconds after the picture was captured!!! Also there was lock screen short-cut that only seemed to work with the stock app (I guess because it was a system app). And of course the Gallery and Camera are like conjoined twins so it's often unnecessarily difficult to use the 3rd party camera when your phone keeps insisting you use the stock gallery to view an image! Part of that is the OEM's fault for behaving like no one ever goes to the Play store for anything; and that all their stock apps are the only ones anyone would ever care about. And part of that is Google's fault for not enforcing clear lines of separation. Let me choose my camera, my gallery, my browser, my ... instead everyone assumes since I use one of their apps they can just force me over into their next app and the next one. Stock app if possible. When I'm using an AOSP ROM I utilize third party camera apps. I read that some one plus 5 users say that using the Google camera app can give better results than the stock app. Can anybody confirm? I really like the stock camera app on my G6. It's the best I've seen so far. It depends on the OS. On iOS, stock is fine. On Android, I try other camera apps if I feel like the stock one should be better. On Windows Mobile/Phone, 3rd party apps seem to do a better job bringing out the colors more accurately so I use those half of the time on there. I haven't had the need for 3rd party camera apps since LG came into my life. I've got all the controls i want and need for both photo and video with the V20. For the most part I use the phone stock camera app, but when I want to get a 360 degree photo I use the Google Camera for it's photosphere feature. I casually use Camera FV-5. But I'm mostly on the stock camera, though. Samsung's camera app is just too good to replace. Camera FV-5 for the past 3-4 years. I shoot a LOT of dSLR photos and prefer to set things how I want when I use the camera on my phone. Usually, it's macro type stuff with an add on lens. I used camera apps in the past, but last couple years I use stock. Samsung and LG have everything I need already including manual controls.